on Tuesdays has become my new routine. 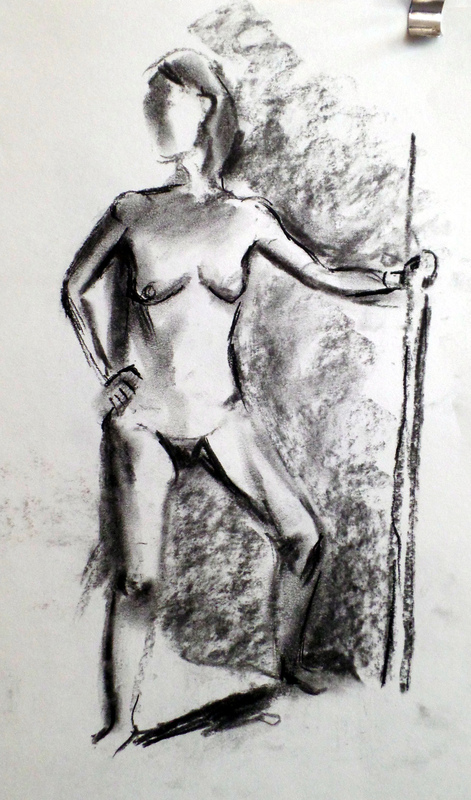 I am enjoying getting my hands dirty with charcoal and pastels. 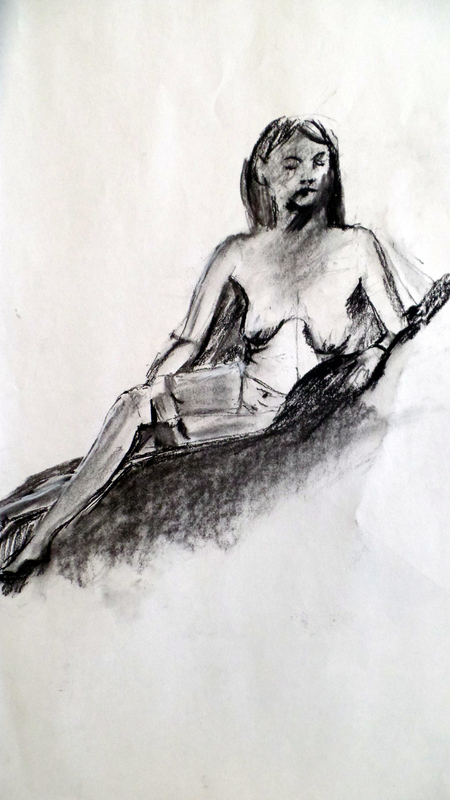 This week I stuck to charcoal. 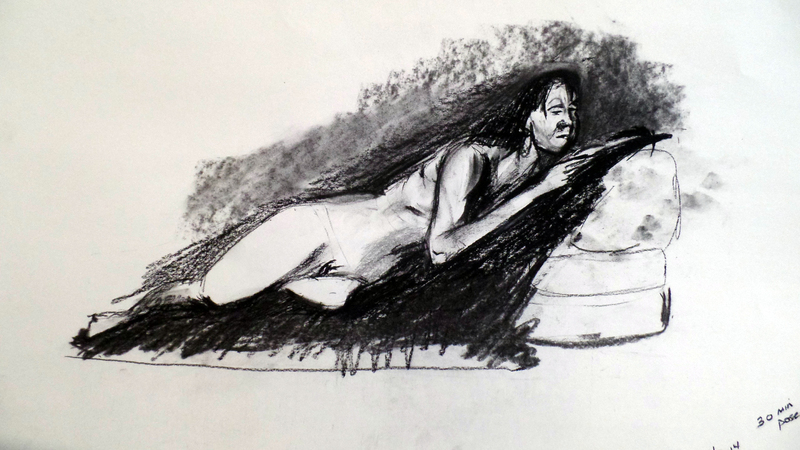 The model was a very slender lady and she seem to disappears into the props. Add the poor lighting and it was even worse. Must admit I struggled with this model but then I seem to say the same each week. Today as I was walking my grand daughter back from the park I was reflecting on the session. One thing occurred to me is that I am hugging my easel too much. I need to remember to stand back. Again all the poses were 30 mins long for this session. The first one, I only had 10 mins as I arrived late. 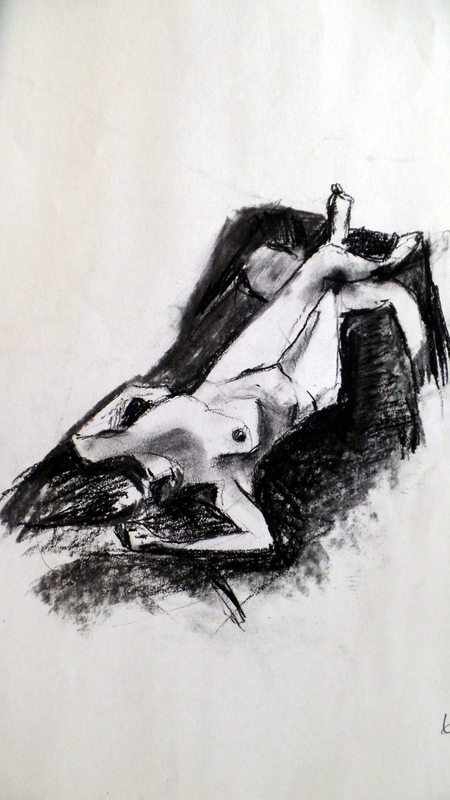 This entry was posted in Uncategorized and tagged AVAA, charcoal, life drawing. Bookmark the permalink.